Protect productivity and profits with in your business and let Speedy Air Refrigeration service, repair and maintain your high efficiency commercial HVAC systems. 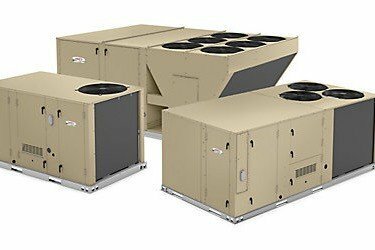 We specialize in packaged rooftops, split systems and other commercial heating and cooling technologies that deliver cost effective comfort, along with planned and emergency equipment replacement options. Heating and cooling systems play a decisive role in the success of most businesses. An efficient HVAC system not only provides a comfortable, productive work environment, but it also ensures a healthy indoor environment thats favorable to attracting customers. When you consider that 40 percent of a company’s expenses are related to HVAC, careful attention to your HVAC system is essential. To safeguard your commercial cooling and heating investment, Speedy Air Refrigeration offers regular system inspections, cleaning and safety checks. Statistics show that well-maintained HVAC systems can last years longer than neglected systems and thats good news for your business budget. Request commercial service today or speak with a technician about your HVAC needs, call (912) 661-5905 or contact us here. You may also be interested to learn about us or read our news section for handy tips or click here to go back to our homepage. High-efficiency packaged rooftop units, split systems, HVAC controls, furnaces and indoor air quality products for light commercial.